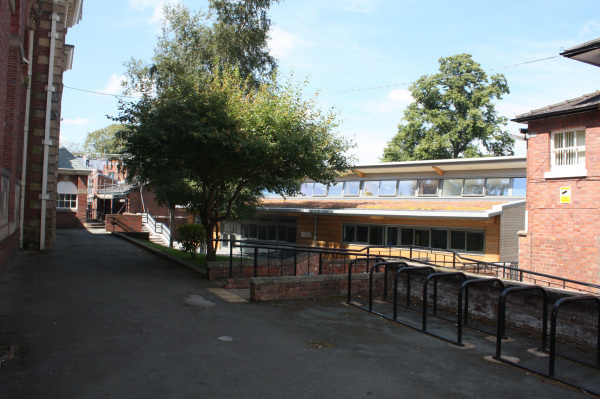 Shrewsbury Sixth Form College is located within the river loop of Shrewsbury Town. The Priory site is the major college site which is adjacent to Victoria Avenue overlooking the River Severn. 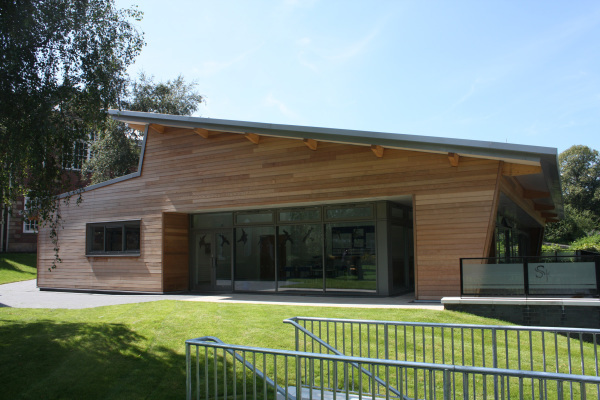 BHN were commissioned to design a new building including 4 classrooms, a geography laboratory, a common area for students and a staff room. It was part of their brief that the building should demonstrate a concern for sustainability. 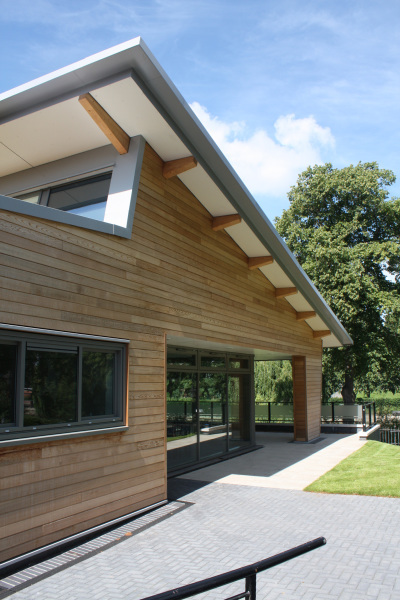 BHN responded to this ‘green’ agenda by designing a highly insulated and well-sealed timber framed building with Cedar Cladding. A Sedum roof was used to control run off of rain water, improve thermal insulation and add to the bio-diversity of local plant and animal species. The project was driven by the very tight funding programme available to the college. Using prefabricated insulated cassette panels for walls and roof, the timber frame building was erected within 3 weeks to meet the tight programme. 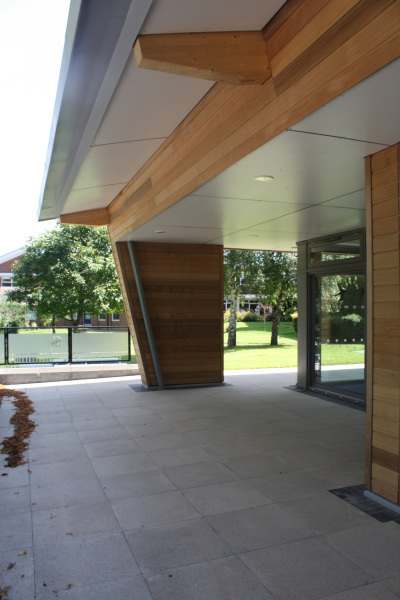 "Our initial requirement was for an eye-catching building which would also create inspiring spaces for the highest quality teaching and learning. 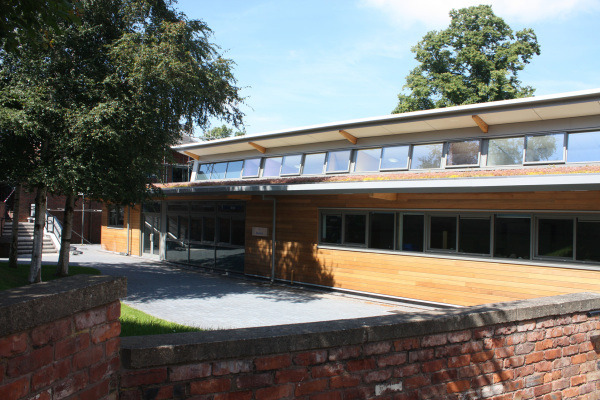 The end result is fantastic and has matched the highest expectations, and we very much looking forward to the building being enjoyed by both staff and students for many years to come." Martin Ward - Principal 2012.